Isn’t table layout something web designers want to avoid? 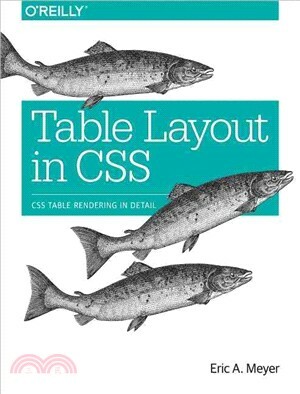 Yes, but rather than use tables for layout, this book is about the ways that tables themselves are laid out by CSS, a process more complicated than it appears. This concise guide takes you on a deep dive into the concepts necessary for understanding CSS and tables in your web layout, including table formatting, cell alignment, and table width. Short and deep, this book is an excerpt from the upcoming fourth edition of CSS: The Definitive Guide. When you purchase either the print or the ebook edition of Table Layout in CSS, you’ll receive a discount on the entire Definitive Guide once it’s released. Why wait? Make your web pages come alive today.